Televisions used to be big, old boxes with black and white pictures and crackly old sound, the concept of HD was a long way away, but now, it's here. Stocking LED, OLED, QLED, Smart 4K, Smart 8K, Ultra HD to suit your budget online. Relive your favourite on screen moments with our quality sound and picture, or experience the power of HDTV with Blu-ray. Powered by the Alpha 9 processor, enjoy Perfect Colour on Perfect Black, while Dolby Atmos sound provides truly immersive audio. 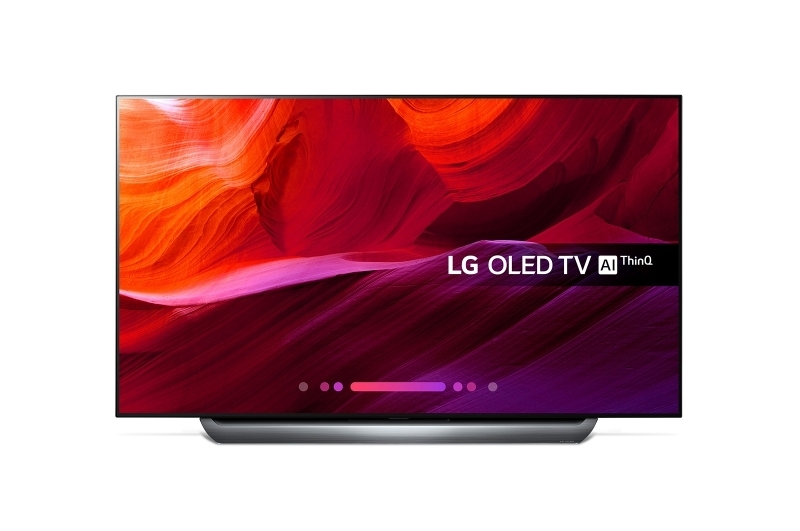 Use LG’s award-winning webOS Smart..
Powered by the Alpha 9 processor, enjoy Perfect Colour on Perfect Black, while Dolby Atmos sound provides truly immersive audio. Use LG’s award-winning webOS Smart platform to stream shows from such apps as Netflix*, interact by voice with its intelligent Thinq AI, and navigate with the intuitive Magic Remote. Add a hyper-modern touch of class to your living room with its streamlined Alpine Stand, which is designed for optimum delivery of the TV's sound. With spectacular visuals and audio, the C8 will revolutionise your home entertainment.